The experience gained from over 35,000 delivered machines is constantly incorporated into further developments and innovations, increasing our customers’ production efficiency even further. 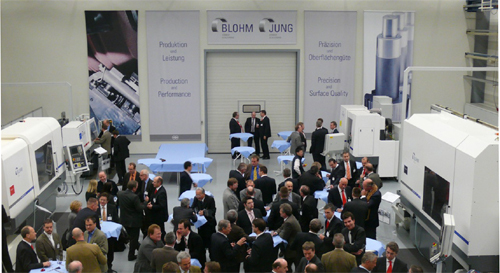 The product portfolio of Blohm Jung GmbH extends from surface grinding machines through application oriented universal machines to customer-oriented production machines. Our service and technology specialists support our customers throughout the entire lifecycle of the machine. From grinding tests through training and maintenance contracts to retrofits, we offer our customers prompt and personal advice.